Discover the enormous world of Gothicus and achieve different types of quests and missions: explore, kill, protect, find special items… 5 faeries, each with their own personality, will help you, providing protection, powers and advice. Create your own character: choose his class from Rogue (to act stealthily), Knight (to use the blade as your favorite weapon) or Mage (to perform the most powerful magic). Evolve and progress along your adventure. Gain experience points by killing enemies or succeeding in certain quests, and choose how to distribute them according to the skills you want to favor. Tons of items, weapons and armors to find or buy from the merchant. They will change the look and abilities of your character. A great gameplay experience (hack ‘n’ slash) for real-time fights, providing a heavy dose of fun for everybody. As part of AdventCalendar gifts, Gameloft is giving away free license of Dungeon Hunter for Android devices. Note that the free game offer may end anytime, so grab fast. However, the free Dungeon Hunter for Android is not distributed through Android Market, which is the game developer’s practice all the while. 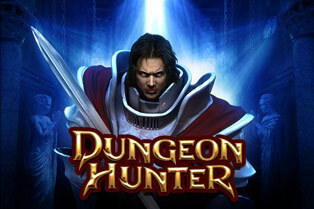 The free Dungeon Hunter offer will be presented, and just click on Free Download button to get the free game. The free game is in .apk package file format, so you may need an Apps Installer or File Manager to install the game. Alternatively, just visit the above link location on a computer, and enter your phone number in order to get a SMS with a link to download the free game. Tip: If you have Android device not listed above, just try a game file of the closet model, the Dungeon Hunter may work on the device too. For example, for HTC MyTouch 4G or T-Mobile G2, go for HTC Evo 4G, and Samsung Fascinate, go for Samsung Epic.